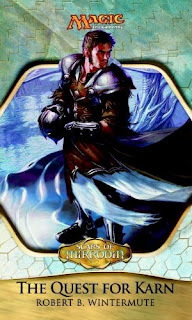 So begins my chapter by chapter review of Scars of Mirrodin: The Quest for Karn. I've been away from Magic lore for a while now, not having read any books past Ravnica block. 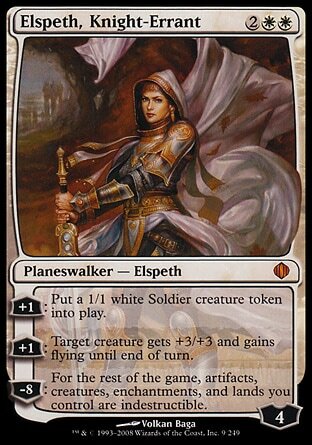 So the new state of planeswalkers is coming at me completely fresh. I'm interrupting my Ravnica chapter by chapter review for this book. With how busy my schedule is, I think it'll be smarter to skip inserting pictures of cards that make any appearances and just get down to reading. The plan from here on out is to do a chapter a day until this book is done, then return to Ravnica block continuing at that pace. So let's begin! Our heroes are introduced, all planeswalkers, and they have problems. Venser has been kidnapped by Koth , and the two of them travel alongside Elspeth to meet Koth's friend Malach to get intel on the situation here. They suspect the plane has been invaded by Phyrexians. Venser protests that he could have just been asked to come, it is the plane of his friend Karn (the lovable creator of the very plane they stand on) after all. Even though Venser is a master of teleportation magic, the three ride platforms of rock manipulated by Koth, and they float on to his home to make a quick stop to see Koth's mother (What a good son.) Elspeth thinks that things are too quiet, and when they step into Koth's home, everyone thinks something's wrong. Koth's mother steps from the shadows, and talks with a strange speech pattern. (It's a trap!) Venser quietly points out to Elspeth that there's a tube coming from her dress and going into the shadowy room in the back. The two of them try to make excuses to leave, and Koth's mother insists that he at least give her a hug. "Then we will go eat your father, he is roasting in the other room." She opens her mouth and it flies out and bites onto Koth's face. But these are our heroes, this is Chapter 1, and they all have planeswalker cards. They handle the creature that was Koth's mother easily, and then Elspeth dispatches the creature in the back room that was controlling her, slicing it up with tears of rage in her eyes. The Phyrexian threat is real. Venser knows none of them can leave because the tainted oil might spread to other planes and leave infection there. Their next course of action is to find Karn, a being whose existence Koth scoffs at. It was predictable what was going to happen, but it's still creepy to have to kill someone's zombified/evil replica of a mother. We have to get the book started somehow, and one book represents the entire block, so I suppose it was as good a starting point as any. Venser is intrigued by Elspeth's sword. That intrigues me as well. Other people may know more about it than me, but since I'm just jumping into the story (with having read some of the webcomics)... is Elspeth's sword itself powerful? Or can she do that with any sword? 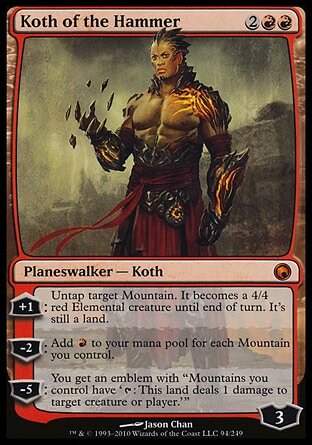 Ok, Koth doesn't like Venser, but that's making me not like Koth. 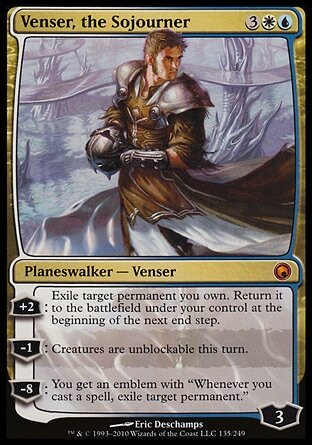 And maybe Venser too. We're hearing two main characters sparring with each other back and forth with comments that don't make sense, so they aren't even amusing for being witty. The muscular vulshok shrugged as if to show just what he thought of a name like Venser. What's wrong with a name like Venser? I always liked the name. Seeing him shrug doesn't make me understand his world view on something like that, and just makes me dislike him for being so unreasonable. And that's just one page into the chapter. And Koth nitpicks about Venser's word choice and tone in a way that shows he's just angry but doesn't have any real points to make. It's like I'm reading a forum, and Koth is just trolling Venser for no reason. And yet he's the one that kidnapped Venser because he figured he could use Venser's help. "I have been to this plane of yours." Venser slipped his helmet back on his sweaty head. Through its eye slit he watched as Koth scowled at him. "A clockwork planet," the artificer said. "Karn brought me here." He stopped short. The geomancer was watching him intently and when Venser did not continue speaking, Koth's eyes widened. This passage makes no sense to me. Why did Venser stop short? Did he reveal something he didn't want to reveal? Or was he expecting the name to have some huge impact on Koth? And then Koth doesn't know who that is but his eyes widen in surprise? (If not, what else are they widening for? Eyes narrow for suspicion or anger.) It makes no sense! But I can get past that, let's just move on.